The New American Heart Association Guidelines for Cardiopulmonary Resuscitation and Emergency Cardiovascular Care have just been released! Program structured for for busy, experienced healthcare professionals who want direct American Heart Association training and need current certification. 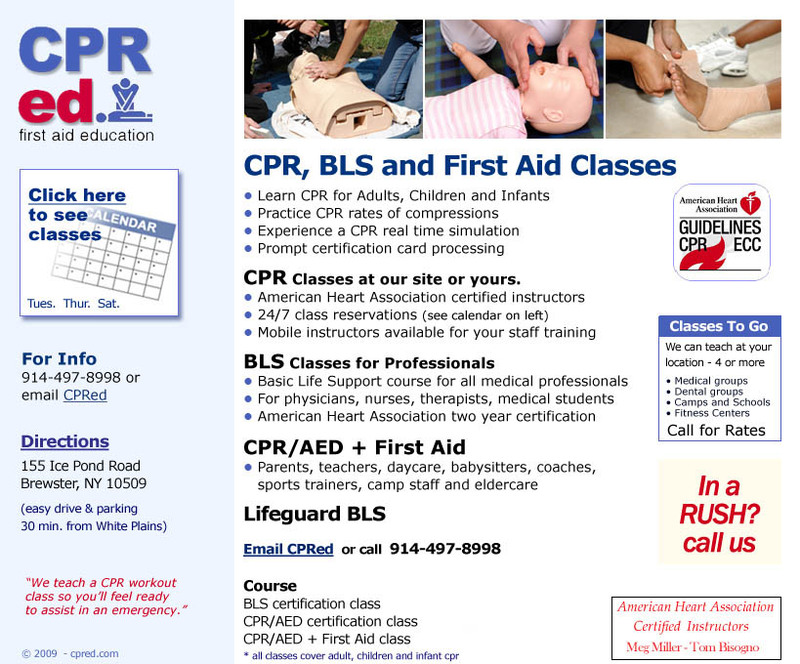 Program provides maximum flexibility for workplaces that need CPR and AED training for their employees, but face many logistical challenges with traditional classroom-based training. We're able to structure the courses for all ages an experience. Designed specifically to meet the needs of childcare workers, this new course offers the most comprehensive and flexible training solution available. The newest American Heart Association couse allows families, friends, grandparents, siblings and others caring for infants to learn the core skills of infant CPR and relief of choking in just 22 minutes. Heart attack and stroke are life-and-death emergencies — every second counts. Today heart attack and stroke victims can benefit from new medications and treatments unavailable to patients in years past. To be effective, these drugs must be given relatively quickly after heart attack or stroke symptoms first appear. So don't delay — get help right away!